When I ask Firefox users why they love Firefox, the answer often isn’t because of Firefox. 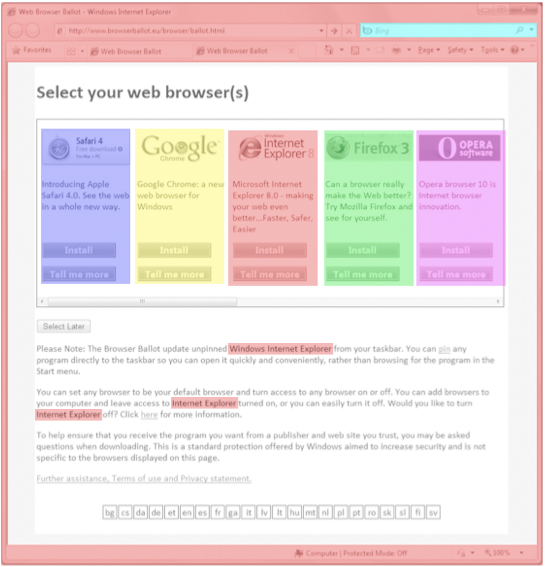 Rather, it’s a particular Firefox add-on that provides functionality that has become invaluable to users. 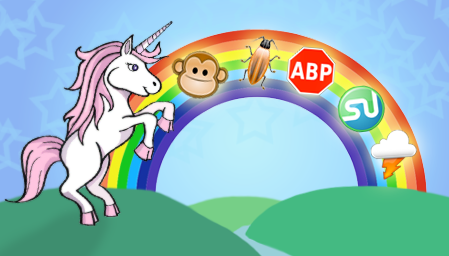 From developer add-ons like Firebug to social add-ons like StumbleUpon, a single add-on can fundamentally change how users interact with the web. The reason add-ons are so important is because they are a fundamental way that users take control of their online life. Firefox touts its customizability as one of its main selling points, but users’ ability to customize their browsing experience is dependent on the talent and creativity of the add-on developer community. I’ve written in the past about the importance of Firefox providing a user experience ideal for as many people as possible right out of the box, without add-ons installed. But each user is truly unique and uses the web in increasingly different ways. That’s why it’s so important that add-ons be trivial to find, install, and begin using. 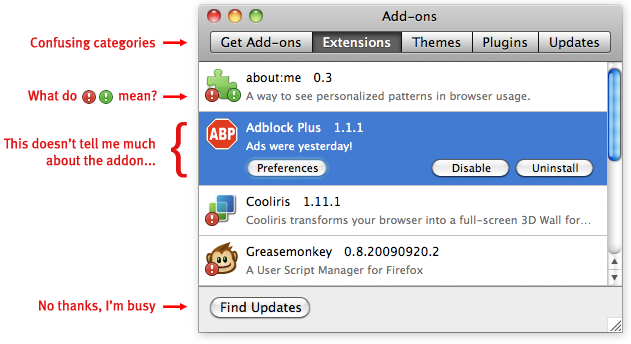 Add-ons are currently installed, maintained, and configured via the add-ons manager in Firefox. This window, found under the Tools menu, provides an inventory of installed add-ons and allows users to update, install, remove, enable, and disable them. The add-ons manager has been largely unchanged since 2007, and it badly needs a redesign. One reason is that it has several usability problems that would provide significant benefit to users if fixed. For instance, the process of updating add-ons is currently characterized by interrupting important tasks such as startup. Locating a particular installed add-on currently involves navigating through categories such as extensions and plugins. Even experienced users I talked to find the distinction between these categories hazy. A redesign to address current issues should insure that installing and updating add-ons is trivial, notifications are non-disruptive, and the interface provides clear information about the state of a user’s add-ons. However, a successful redesign of the add-ons manager must not only fix problems, but add functionality. This is because the scope and functionality of add-ons has increased dramatically and will continue to expand in future versions of Firefox. The current add-ons manager gives only the name of an add-on, an icon, a version number, and a one-sentence description. Users could benefit from more information, such as a description or a screenshot showing what UI the add-on will change. Added functionality is also needed because of new ways to modify Firefox, such as Jetpacks and Personas. These are similar to current add-ons in that users can choose items to download for added functionality, but they are installed, managed, and used differently. A redesigned add-ons manager must be able to incorporate emerging projects like these. This is still very much a working list open to feedback and changes (especially via comments here or on the wiki). Basically, what I’d like to focus on is making add-on usage less disruptive and more accessible. Experienced and especially technical users tend to be very aware of add-ons and the functionality they provide. These users may see add-ons mentioned in the tech press, may talk to their friends about their favorite add-ons, and might even get involved in the add-on developer community. These are the users who say “I can’t imagine a world without add-on X.” But the benefit of add-ons is felt almost soley by this group. There are thousands of add-ons available that can improve the online experience of just about any user. Both users and developers deserve an add-ons manager that helps make customizing the browsing experience simple. How could Microsoft’s Proposed Browser Ballot be More Effective? In my post on October 15, I wrote about the European Commission (EC)’s investigation of Microsoft due to its bundling of Internet Explorer (IE) with Windows, which the EC viewed as potentially harming consumer choice and innovation on the web. Microsoft, to appease the EC, proposed that Windows users be presented with a ballot in which they could choose which browser to install. I said at the time, and in a subsequent post, that creating a ballot would not successfully address the EC’s concerns nor provide a good experience to users. However, since the EC seems to be giving Microsoft the go-ahead to design a ballot, it seems that the best we can do is consider how to design a ballot that causes the least amount of harm to users. Here are two broad principles that are important in ballot design. A ballot should present the voter with the information they need to make an informed choice, but no more. The verbal and graphic language on the ballot should be organized so that readers follow a consistent path through the ballot’s information. Many viewing the browser ballot will not be familiar with the browser as a separable element from the operating system, so clear and precise language is vital. In interaction design, the complexity of a new task can be lessened by leveraging against what the user already knows and expects. For instance, it’s usually best to display the instructions in the top left for western readers, and before the the possible ballot choices (Kimball and Kropf 2002). It is also recommended that the instructions be as close to the first task as possible, because it provides the highest chance that voters will read them (Dillman and Christian 2002 (pdf)). I wrote in my previous post about how ballot order can influence voters. Another important factor is how much physical space on the ballot each item is designated. 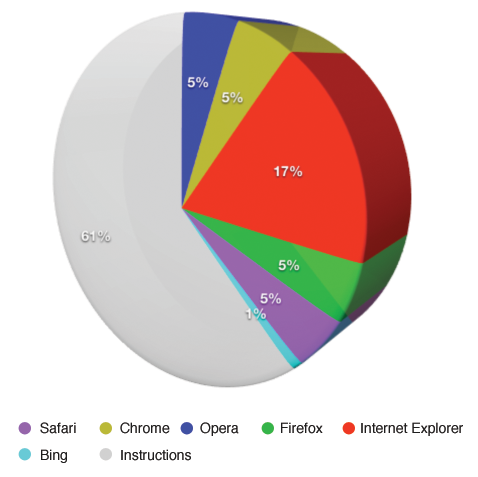 The current space allocation for IE is roughly 3.35 times as much as the other browsers. “All things being equal, users first look in the upper left corner of a window, scan across the page, and end their scan in the lower right corner. They tend to ignore the lower left corner. In summary, the ballot would be improved by being simpler, clearer, and be presented with equal weight to each browser.